via Create awesome retro designs with Photoshop and CSS | Tutorial | .net magazine. Between science fiction fan art and historical Victorian remodeling, this turn-of-the-(20th)-century Craftsman-style home was radically remodeled into a blend of new-age fantasy and original reality. 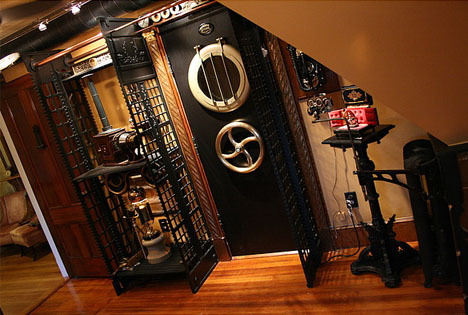 via Steampunk House: Retro-Futuristic Victorian Interior Refab | Designs & Ideas on Dornob.